In 2015, Columbus was one of 38 cities to score a perfect 100 on the Human Rights Campaign&apos;s Municipal Equality Index (MEI), which examines the laws, policies and services of municipalities and rates them on the basis of their inclusivity of LGBT people who live and work in the area. It was the third year in a row the city earned a perfect score. According to MEI, "Columbus is a national leader for LGBTQ Equality." Columbus has several TAG approved hotels, many of which are in close proximity to the Greater Columbus Convention Center, and Experience Columbus is a member of the International Gay & Lesbian Travel Association (IGLTA), an organization that is committed to connecting LGBT travelers with businesses that welcome and support them. Columbus is a smart and open-minded city, where people are free to be themselves and follow their passion. With friendly neighborhoods, a diverse art scene and a vast array of bars and nightclubs, Columbus is a community that proudly welcomes LGBT groups for both business and leisure. Visitors can relax and unwind with local drinks at watering holes across the city, enjoy live music any night of the week or explore the diverse and acclaimed Columbus arts scene. Columbus is home to one of the largest Pride parades in the Midwest, and is a rising fashion mecca, proudly securing the third highest concentration of fashion designers in the country. The Short North Arts District just north of downtown, offers miles of boutiques, galleries, studios, cafes, restaurants and gay bars, one of which is Union Cafe, named top 200 in the world (OUT Magazine, June 2013), and is only a few minutes down the road from the Greater Columbus Convention Center. German Village, a 233-acre neighborhood just south of downtown, is decorated with cobblestone streets, charming brick cottages and stunning gardens, is home to many LGBT residents. In the Arena District, visitors can find anything from arts and live entertainment to sports and food and drink. It&apos;s easy to see why Connect named Columbus a top city for LGBT groups. Ohio&apos;s capital city invites LGBT visitors to explore all it has to offer. 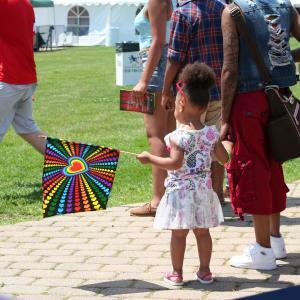 You can also visit Stonewall Columbus, Central Ohio&apos;s LGBT community Center, for upcoming events and programs.